Upon taking the back, do you still hesitate and lose the position? 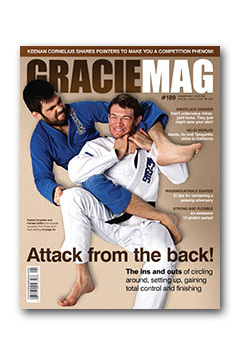 This month, GRACIEMAG decided to attack one of the biggest flaws you can have in Jiu-Jitsu: poor back control. That’s right, to be effective with this type of attack, you need to have killer hooks and a clutch that won’t let your opponent escape. To help you in this mission of shoring up your resources, we called on Robert Drysdale and Forrest Griffin. 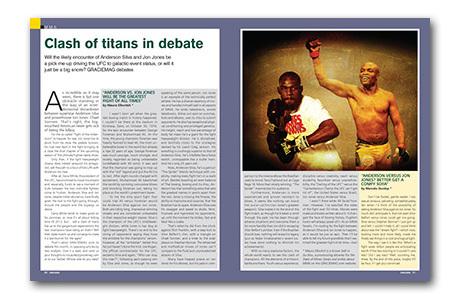 For the article to catch our readers by the neck, Drysdale and the UFC star teach all they know. 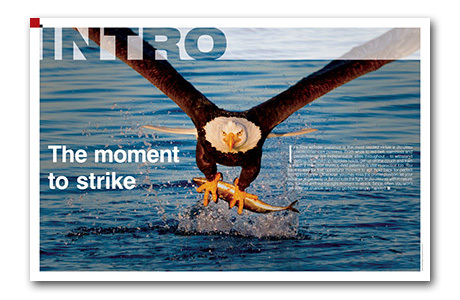 It’s packed with can’t-miss lessons and step-by-step positions that can transform the way you attack from astern. After learning these six training positions, not to mention an efficient warm-up, there won’t be a training partner out there who’ll want to expose their back to or be on all fours against you. We guarantee it! 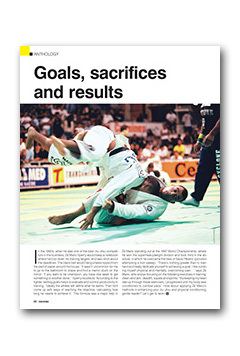 Subscribe to your favorite Jiu-Jitsu magazine at a discount rate by clicking here. This month, TRAINING PROGRAM hones in on an attack for the detail-oriented submission specialist: the wrist lock. Direct from California, Otavio Sousa breaks down an array of positions for you to latch on to your adversary’s arm where he doesn’t see it coming–and when he least expects it. Add these rare finishes to your collection and test them out in your game. They hung up their coats but kept the cards up their sleeves. 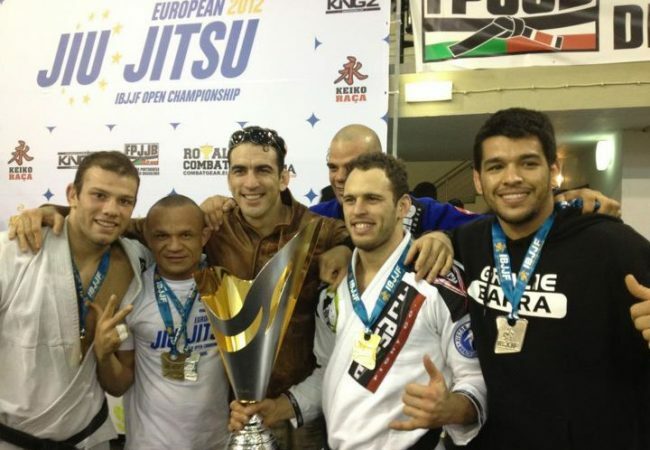 Learn the guard pass that helped Xande Ribeiro come up spades in the absolute final; see how Augusto managed to mount Leandro Lo in the lightweight contest; and find out what DJ Jackson got up to against the stalwart guard of Clark Gracie; among other thrilling moments from the IBJJF No-Gi Jiu-Jitsu World Championship. The less injurious path in martial arts is the one with a potent array of stretches. 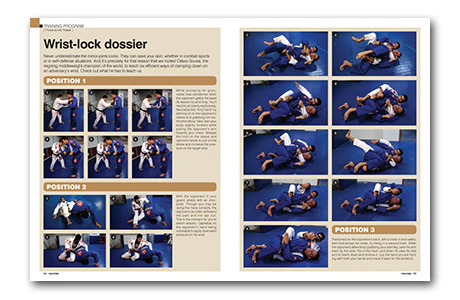 GRACIEMAG delved into the theme this issue, printing a feature on the Ginástica Natural stretches that have kept Xande Ribeiro healthy and in one piece as he displays ever more effective Jiu-Jitsu with every year. There are 17 exercises prescribed by Alvaro Romano. Be sure to check it out and take it with you to the academy. How would a glorious showdown between Anderson Silva and Jon Jones go? Our team took the subject on in an upbeat and unprecedented debate. Find out what superchamp Keenan Cornelius had to teach us about posture, training tactics and techniques, about the will to learn and the advantage to not having any career plan in Jiu-Jitsu WHATSOEVER. You can’t miss it. 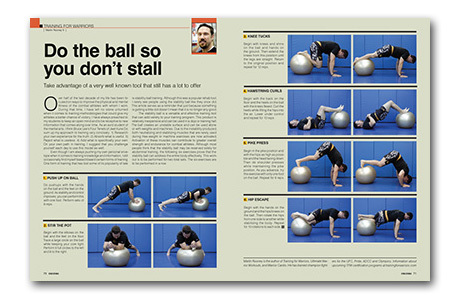 Working out with the help of a Swiss ball is the best way to strengthen ligaments, gain strength and do repetitions of complicated Jiu-Jitsu movements. Learn to work out wisely from the hard-nosed Martin Rooney! This issue, your special GMA section brings you all the goings-on from the end of the season in the fastest growing Jiu-Jitsu community there is. 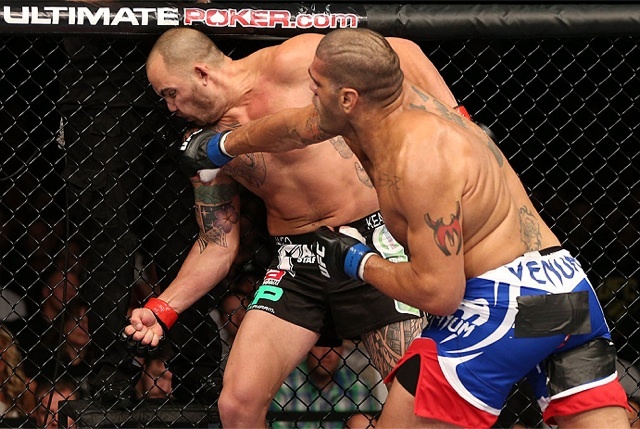 To boot, Rubens Cobrinha lets us in on some of his his positional secrets. Your GRACIEMAG also features 10 tips for building an efficient guard starting from when you’re a white belt, as taught by Roberto Traven; the importance of timing for getting the finish; how stair-running workouts work; how to use nature to further your Jiu-Jitsu and much more. Evolution in Jiu-Jitsu comes about through good teachers, but especially through driven students. 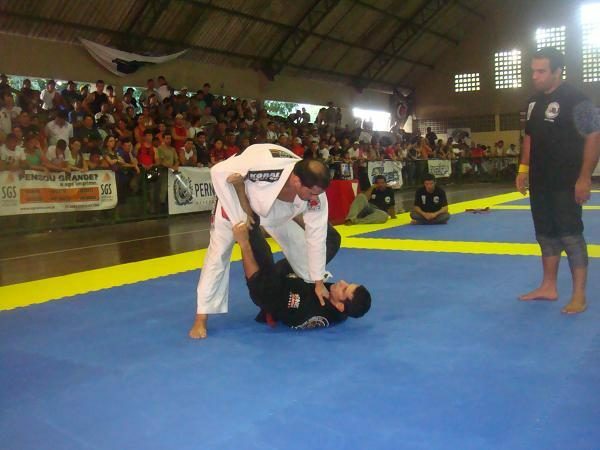 Learn to set goals for your Jiu-Jitsu and training from Zé Mario Sperry. 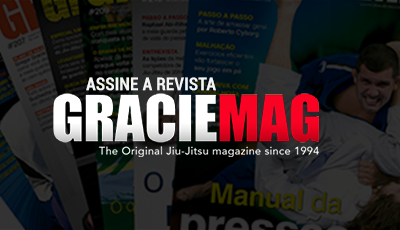 Want to subscribe to GRACIEMAG right now? Check out our discount offers and waste no time. Click here.